Circle of Mediation | Fundación SOMOS | ¡Por Una Vida Mejor! Multiple scientific investigations have confirmed the benefits of the Meditation for one’s health. 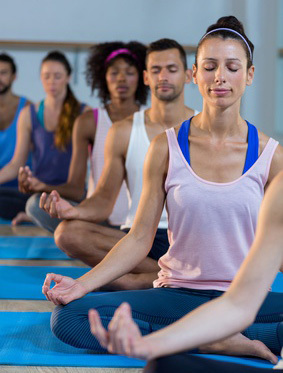 Scientific Institutes in the United States and other countries have conducted studies aimed at testing the effects of Meditation on prevention and health benefits. Universities and independent research institutions in 34 countries, including Harvard, UCLA School of Medicine and Yale. Each meeting begins with a small talk on a specific topic and then we move on to meditation. In Opportunities we invite professionals in various topics of general interest. The circle meets monthly oriented towards the adults. Opportunities are given for classes directed at children with the permission of their parents. They are generally offered in holiday camps.